HANOVER -- The German state of Lower Saxony, Volkswagen Group's second-largest shareholder, refused to sign off on the actions last year of two of the company's board members in an unusual public split among the automaker's close-knit owners. At the first shareholder meeting since the emissions-cheating scandal erupted, Lower Saxony abstained from a vote to ratify the actions in 2015 of Martin Winterkorn, who was CEO at the time, and current VW brand chief Herbert Diess. Both are under investigation by German prosecutors for possible market manipulation linked to the timing of the public notification of the scandal. Lower Saxony said it abstained to remain neutral during the investigation. "During the current proceedings, Lower Saxony doesn't want to give the slightest impression that it positions itself in any way," the German state said in a statement. "That is solely the matter of prosecutors and potentially later the courts." Though the vote is largely symbolic, Lower Saxony's move puts it at odds with the Porsche and Piech families, which used their clout to ensure both men were backed by a majority of shareholder votes. Lower Saxony joined the controlling family in supporting the rest of the top executives and the supervisory board. The rift capped a tumultuous annual meeting on Wednesday where Chairman Hans Dieter Poetsch, the chief financial officer when the cheating occurred, bore the brunt of investor dissatisfaction over the automaker's handling of the scandal. The meeting dragged on for more than 12 hours, with many institutional investors encouraging owners with voting stock not to ratify the performance of the management and supervisory boards last year. During the gathering, which often descended into shouting and arguing, shareholders tried twice to unseat Poetsch as meeting chairman. Investors also questioned when they would get full information about the origins of the crisis, bemoaned the job management has done reacting to it and expressed doubt about Volkswagen's ability to turn itself into a leader in self-driving and electric-vehicle technology. While numerous institutional investors berated the company over the damages caused by the cheating, they have little influence because the widely traded preferred shares don't hold voting rights. The Porsche and Piech families, descendants of the creator of the VW Beetle, own 52 percent of Volkswagen's voting stock. Lower Saxony holds 20 percent and has special rights, along with workers, that are enshrined in Volkswagen's bylaws. Qatar, which has 17 percent of the common shares, backed all of the measures. On Monday, Brunswick prosecutors opened a probe into whether Winterkorn and Diess were too slow to tell investors about the potential cost of rigging diesel cars to pass emissions tests. 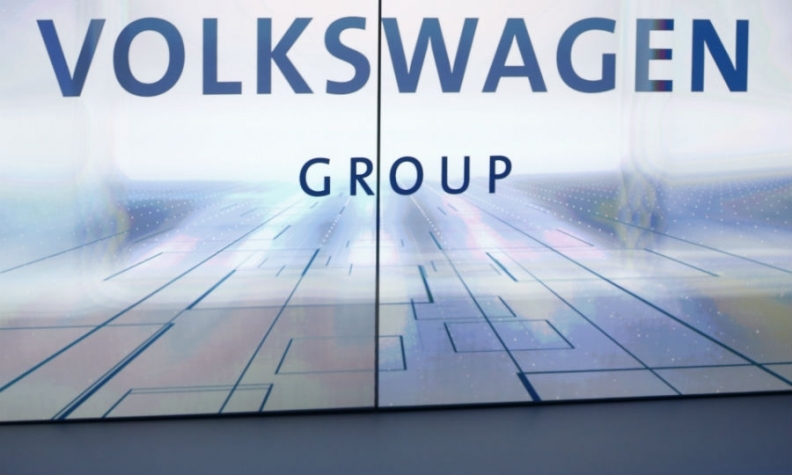 The investigation centers around a VW meeting about damage and product issues last July that the two executives attended and where the diesel issue was discussed on the sidelines. Winterkorn asked for further clarification, according to VW. The carmaker didn’t notify investors until after U.S. authorities went public about the company's emissions rigging in September. VW said the investigation doesn't involve new facts or revelations and had previously argued that the company informed investors properly based on the information available at the time. The market-manipulation probe by German prosecutors will potentially aid shareholders in their suits against the automaker. The California State Teachers’ Retirement System claimed on Tuesday that VW misled investors about emissions, seeking damages that could reach as high as 700 million euros ($793 million) if others agree to join the action. Another 278 institutional investors sued in March, seeking 3.3 billion euros in a lawsuit over the timing of the market disclosures. VW has so far set aside 16.2 billion euros to cover costs for the scandal, including repairs, legal costs and fines. The automaker argues the suits are without merit. VW shares have declined 23 percent since the scandal broke in September, shaving about 12 billion euros off the company’s value. The stock was 1 percent higher at 124.30 euros as of 10:55 a.m. today in Frankfurt trading.